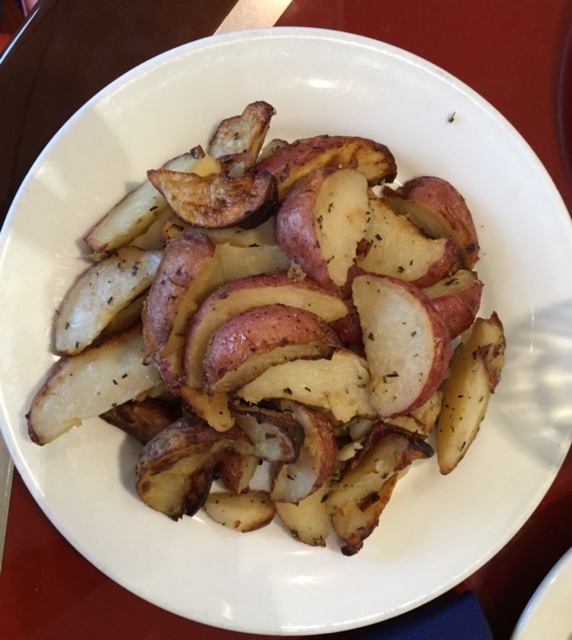 Here is a guest review Mary originally wrote for Alexis Salerno’s wonderful blog, Gluten Free in Orlando. We went to Chef Mickey’s for a fun-filled breakfast with Mickey Mouse, Minnie Mouse, Goofy, Donald Duck, and, Pluto. I traveled with my sister and her children; there were 2 adults and 5 children ranging from ages 7 – 14. 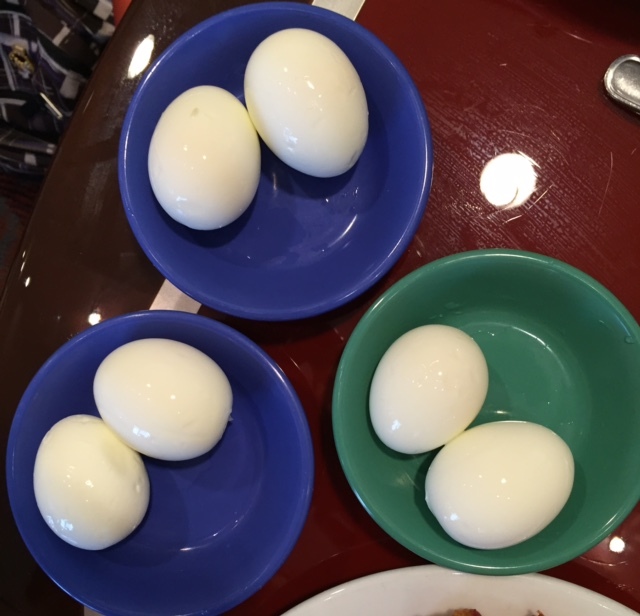 My daughter and my nieces have Celiac Disease and my sister and I choose a gluten- free diet by choice, so there were 5 eating gluten-free from our table. Chef Merle came to our table and brought me to the buffet to show me the variety of gluten-free foods our family could eat. 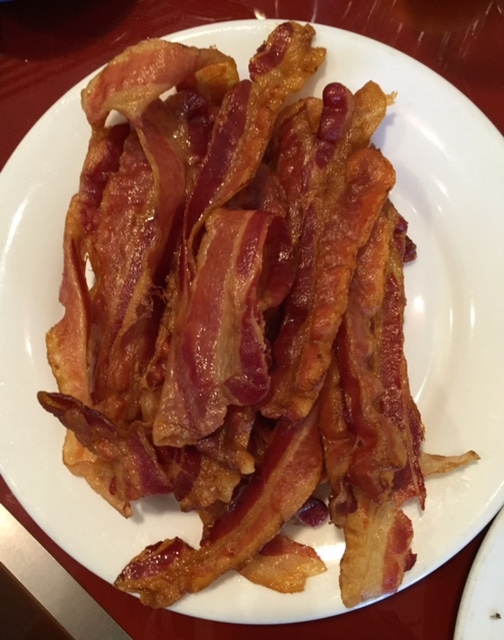 My daughter and nieces all go to the same pediatric gastroenterologist and he has recommended that the girls do not eat from buffets due to the chances of cross-contamination and their chances of getting seriously ill. Chef Merle made all their food separately and brought it to our table. He was so incredibly kind and truly cared about their dietary needs. 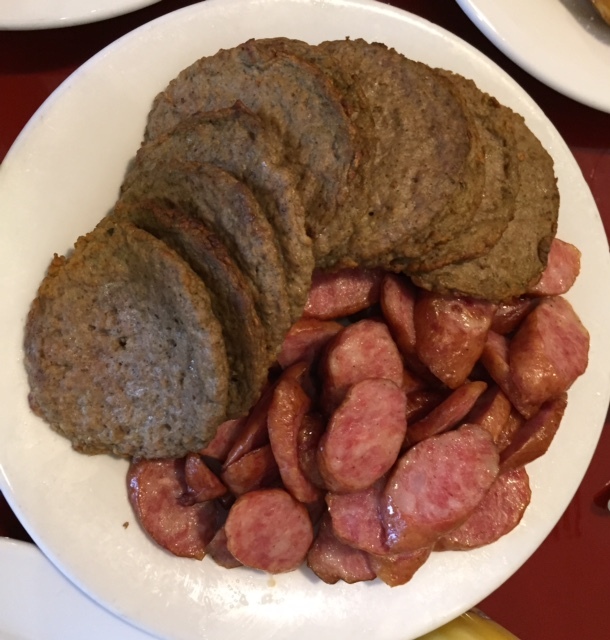 He brought the children everything they asked for- hard boiled eggs, sunny side-up eggs, fried potatoes, fruit, bacon, sausage, and kabasa sausage. Their favorite was the gluten-free Mickey Mouse waffles which put the biggest smiles on their faces. My sister and I shared a very tasty bacon, cheddar, tomato and spinach omelet. The children were a little disappointed as Chef Mickey’s does not have gluten-free pancakes, and pancakes are a big hit in my house. 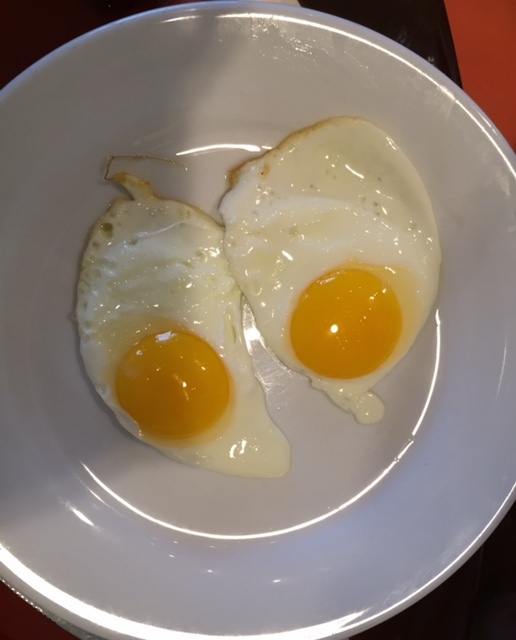 The food was delicious and everyone at the table was truly happy and loved their breakfast. 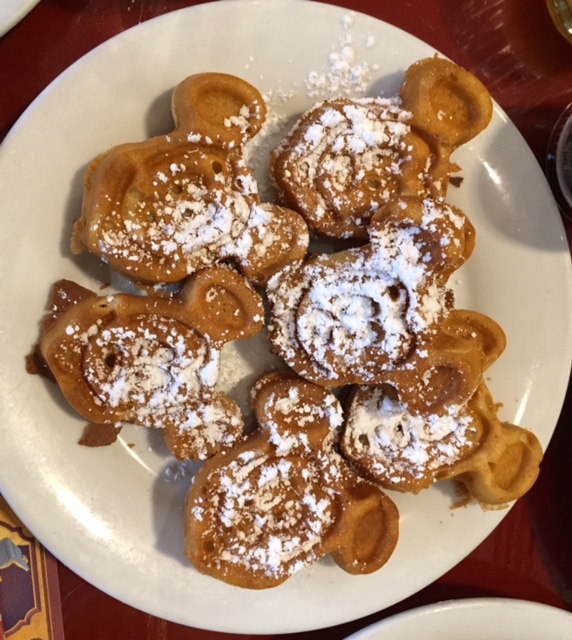 My daughter is normally not a waffle fan and LOVED the Mickey Mouse waffles; I tried them as well and they were the best waffles I have ever had in my life. My daughter describes the waffles as “awesome” and has asked to return to Chef Mickey’s the next time we go to Disney World. 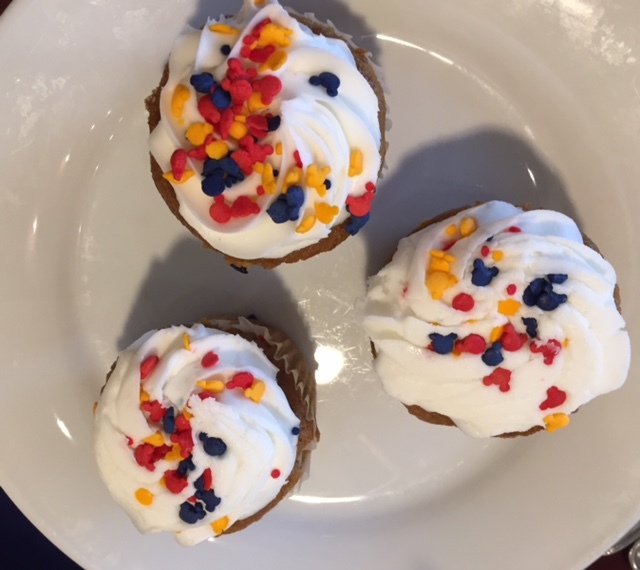 Chef Merle brought out two different types of gluten-free cupcakes for the table; chocolate and carrot cake both with white frosting and sprinkles. 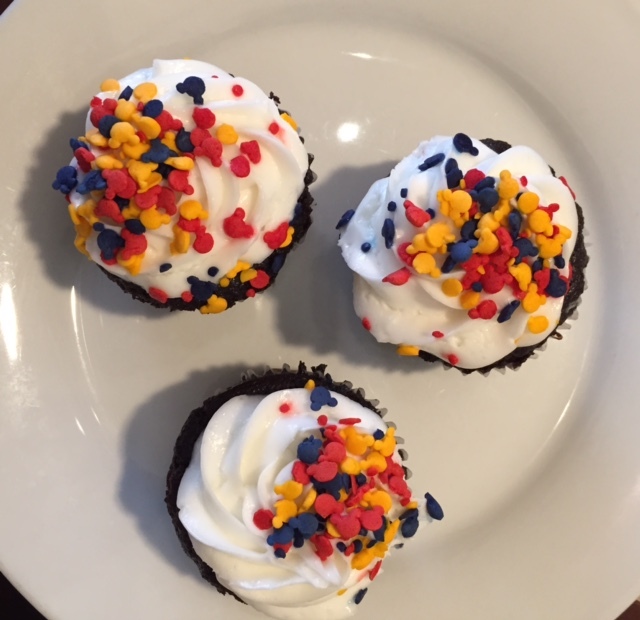 The girls loved the chocolate cupcakes but did not like the carrot cake ones; I think because they are partial to chocolate and vanilla. 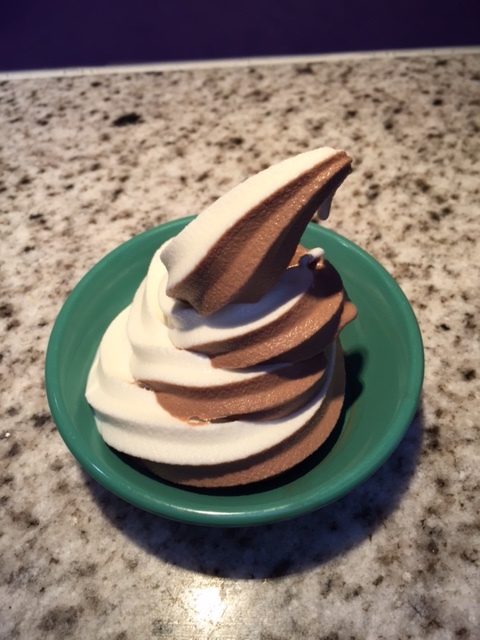 Chef Mickey’s has a soft serve ice cream bar and the ice cream is gluten-free. There are three options; chocolate, vanilla, and swirl. Of course the ice cream was a big hit! The girls chose swirl and I chose chocolate; it was a nice tasty treat. We did not add any toppings from the ice cream bar due to contamination but we all were thrilled to have soft serve ice cream. Chef Mickey’s was a wonderful dining experience where the children (and adults) could meet the characters, get their autographs, and take pictures. It is a lively experience and it was a great way to start our day’s adventure on our magical trip. Chef Merle spread lots of pixie dust and poured his heart into bringing smiles on all our faces. Thanks Chef Merle! This entry was posted in Walt Disney World. Bookmark the permalink.